Snow is the polar bear of the weather world. Beautiful and deadly, it’s all fun and games until someone gets trapped on an ice floe with a broken leg. Like me, you may have emerged yesterday to a scene from The Lion, the Witch and the Wardrobe. With more snow forecast we’ve put together top tips for staying safe and warm in this mad weather. As we all know, the UK goes to chaos as soon as soon the first flake hits the ground. Therefore, my top piece of advice would be to prepare your home and go into level 5 hibernation mode if at all possible. Number one priority is staying warm. As hit 90s movie Titanic taught us, humans don’t fare well in the cold. If you’re over 65, have a health condition or can’t move about easily, keep your heating at least 18C. It’s not just older people though – keeping babies’ rooms between 16-20C can help ensure they stay healthy during cold spells. Moving about will also keep you warm, even if you’re inside, and especially if you’re trying to keep energy bills down. If walking is difficult give your arms, legs and toes a good shake or wiggle at least every hour. 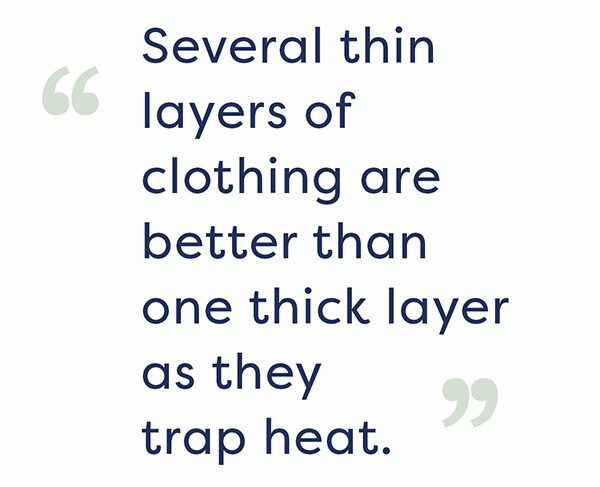 Several thin layers of clothing are better than one thick layer as the layers trap heat. Wear socks and a hat in bed if you need to, as heat escapes through your head and feet. As tempting as it is to double down, hot water bottles and electric blankets don’t mix well and can be dangerous. Keep portable heaters away from flammable things like curtains and furniture – and they really don’t make for a safe clothes-horse. Unplug or switch off portable heaters when you go to bed and never leave candles unattended. Battery operated or wind-up torches are the new candle anyway, so keep some in easy to reach places around the house. Outside, having automatic lights on a timer can help you find your keys when coming home, with the added bonus of making the house look occupied to deter thieves. It’s also worth organising an Emergency Grab Bag to ensure a speedy exit with things like house/car keys, mobile phone, cash, glasses and essential medication details. Fuel poverty hits some of the UK’s most vulnerable people, so if you’re struggling to keep your home warm MoneySuperMarket has a guide to help. 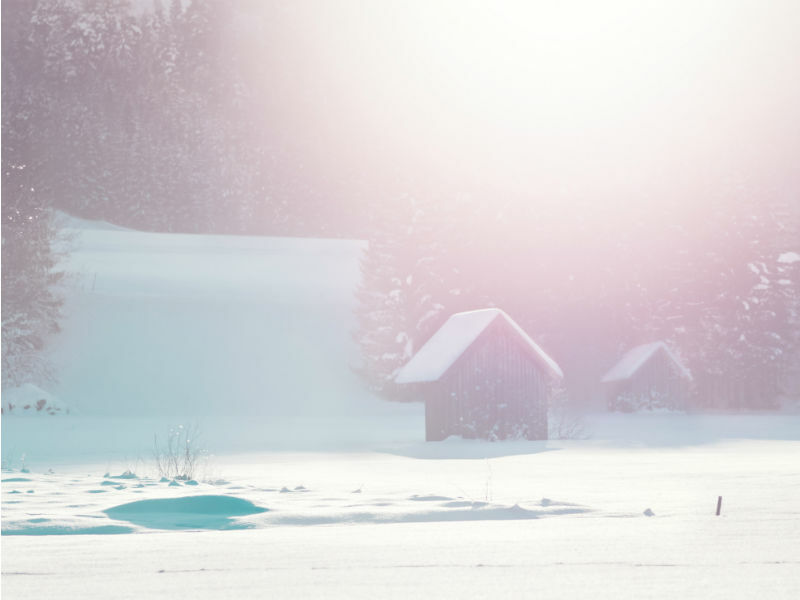 Find out more about how to get your home winter ready. Keeping healthy during the cold is tough but a good start is to get your flu jab – you might even be eligible for a free one. Make sure you’re also stocked up on medications, tinned and dried food and lots of blankets in case you get snowed in. Try to eat at least one hot meal a day and top up with hot drinks, and why not show millenials that communities do still exist by checking in on vulnerable friends and neighbours. Be extra careful when driving and for the love of Game of Thrones drive slowly, as stopping distances are 10 times what they usually would be in the snow. I was travelling at approx. 0.002mph yesterday and still skidded when I braked. Other hot tips include adding anti-freeze to your screen wash – but don’t use boiling water on your windscreen as it could crack. Have another little emergency kit in the car in case you get stuck, and check oil and petrol levels before setting off. Always check the weather forecast and traffic advice too, and leave extra time for journeys as there have been lots of accidents around the country. Even better, just sack it off and stay home if you can. For a fun day frolicking in the snow, make sure to layer up – especially children and older people – and remove any wet clothing as soon as you get home. Grippy shoes are a godsend and you can even get some very fashionable and reasonably priced attachments for your shoes on Amazon if, like me, you have all the grace of baby Bambi. You can use salt or sand on icy paths as grit, or there are communal grit bins in some areas. Be wary of rumours that cat litter is a good gritter though, as it quickly turns to sludge. Your cat may not thank you either. If you have to walk a dog (or ferret, as I’ve seen in Manchester), keep them on a short lead and make sure your fur babies have enough food, water and warmth. I’d recommend novelty coats. With the heavy snow some of our repairs and maintenance may also be disrupted. It can sometimes take a little longer when travelling to complete repairs. There can be increased demand for heating repairs in cold weather and it may be necessary to prioritise repairs to our most vulnerable customers. We will always keep you updated through our website and through social media. We’ll do our best to deliver these services as normal but please bear with us if contractors are delayed. We’ll be in touch if we need to reschedule appointments.